He's wonderful. I have used them for years. I'm elderly and he takes care of me and is very accommodating. I couldn’t say enough about how great they are. He is a nice guy and his employees are just as nice. I wouldn’t go anywhere else. I like the fact that he will give me transportation back and forth when I need my car serviced. If I have an emergency, he helps immediately and I don't have to wait around. They also provide a loaner vehicle if you need to keep your car there for a couple days. I completely trust them. As a woman, I know I can go into the shop and not feel uncomfortable or feel like they treat me any differently than they would treat a man. They are very friendly, accommodating, and reliable. They do very good work and I trust my car in their hands. They are completely, 100% honest. They are qualified to work on European cars and they do a very good job in doing so. 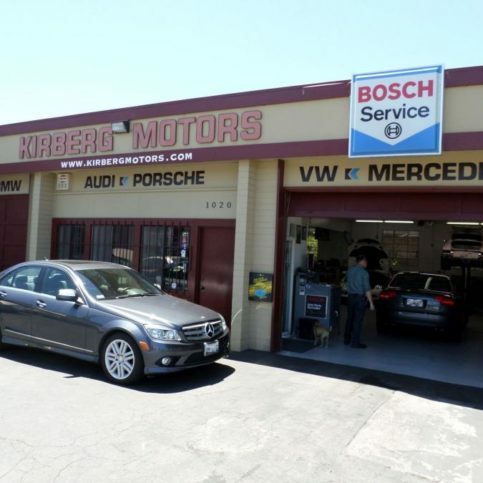 Kirberg Motors, Inc. is a San Francisco-based auto shop that provides complete mechanical repairs and maintenance services. The company works on all types of German automobiles, and it’s one of the first Bosch Authorized Service Centers in the United States. 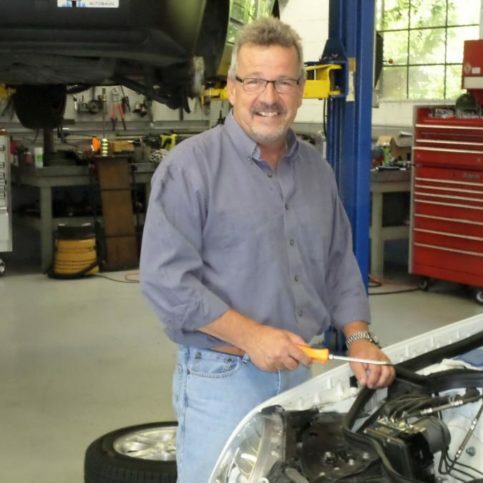 President Ralph Kirberg began his career at Kirberg Motors as an apprentice technician under the tutelage of his father, Juergen, who founded the company in 1967. Mr. Kirberg took over ownership in 1983 and relocated the shop to its current location in Belmont. He credits Kirberg Motors’ success to its commitment to keeping up with advancements in auto technology and making customer satisfaction its top priority. Kirberg Motors caters to a customer base that expects quality service and impeccable workmanship in a prompt and timely fashion, says Mr. Kirberg. 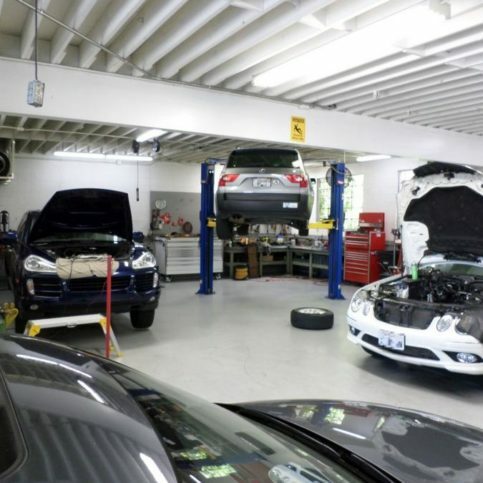 “Our combination of products, services and purchase consultation makes us a convenient, knowledgeable, one-stop auto repair destination.” The company’s technicians educate clients, answer their questions and strive to make the repair process as convenient as possible. The shop provides pick-up and drop-off service, can arrange for car rentals, and works with customers’ insurance carriers. DIAMOND CERTIFIED RESEARCHED CAPABILITIES ON Kirberg Motors, Inc.
Company Name: Kirberg Motors, Inc.
DIAMOND CERTIFIED RESEARCHED ARTICLES ON Kirberg Motors, Inc.
Ralph Kirberg, owner and president of Kirberg Motors in Belmont, acknowledges his facility “isn’t exactly blessed with space.” But there’s a silver lining: There isn’t a lot of room to store vehicles overnight. “Your car is here in the morning and back to you in the afternoon,” he explains. Perform the suggested maintenance on your car, even if you think it’s unnecessary. With today’s cars, the benefits of regular maintenance aren’t always easy to detect. You can spend a few hundred dollars for a repair, yet the car doesn’t seem to run any differently than before. 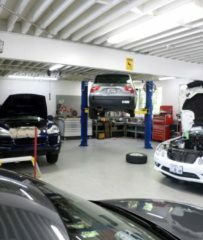 But Ralph Kirberg, owner of Kirberg Motors in Belmont, suggests you do the maintenance nonetheless.” Over the lifetime of your car, it’s still very much in your best interest,” he says. Mr. Kirberg also believes people should have at least some baseline knowledge about their car. An obvious starting point, one that few vehicle owners even bother with, is the owner’s manual. It contains a wealth of information, from tire pressures to typical service intervals. And it’s written for the uninitiated, not mechanics. 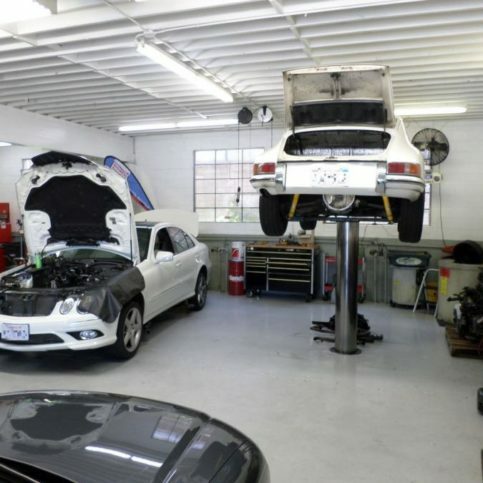 If possible, says Mr. Kirberg, take your car to a repair shop that specializes in your particular make and model. Every vehicle has its own idiosyncrasies that a specializing mechanic can pinpoint much more quickly. “If your technician isn’t as knowledgeable about your vehicle, or doesn’t have the proper tools, it’s going to take much more time,” he says. Q: Can you tell me how much a certain repair will cost? A: Without examining your car, we can’t know its condition. We try to develop a rapport with customers so they become repeat visitors. Once that happens, and we really know your car, we can be much more specific about repair costs. Q: How long can I go between oil changes? A: For regular oil or petroleum-based oil, you should change it every six months or 5,000 miles. With synthetic oils, we generally recommend every 8,000 to 10,000 miles, depending on how you drive. Manufacturers often say longer, but those really long intervals are unhealthy, especially for short-range driving. It’s really about preventative maintenance—catching something before it becomes a problem. Q: How important is tire pressure? A: Very important. Unfortunately, most people aren’t very diligent about checking tire pressure on their own. The best plan is to set up your vehicle on a service program that’s conducive to the type of driving you do and the type of car you have. It’s just preventative maintenance, but it’s very important for fuel mileage, safety and cost, because low tires wear out much faster. 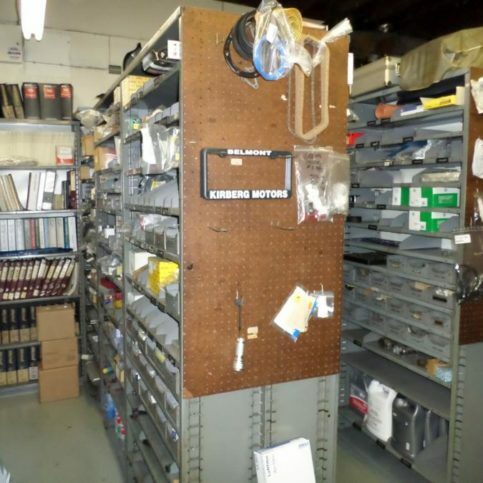 SELECTED PHOTOS FROM Kirberg Motors, Inc.
Ralph Kirberg is a 39-year veteran of the automotive industry and president of Kirberg Motors, Inc., a Diamond Certified company since 2009. He can be reached at (650) 469-3987 or by email. A: A 1970 Volkswagen Beetle. I bought it for $200, rebuilt the engine and made it look as good as new. Q: What’s the most memorable thing a customer has ever said to you? A: Someone left an online review that referred to me by saying, “He’s truly a God.” I had to laugh when I read that one. Q: Who’s your favorite movie monster? This light is in the shape of a car battery and usually indicates a problem with the alternator. Since the alternator recharges the battery, it’s important to directly address any issues because its failure can render your vehicle inoperable. If the battery light comes on and stays on while you’re driving, the most common cause is a broken alternator belt. This light is in the shape of an old-fashioned oil can and indicates low engine oil pressure. When this light comes on, it’s crucial to immediately pull over and turn off your vehicle—if the engine runs out of oil, it can seize up and grind to a halt, resulting in extensive and costly repairs. Also known as the “service engine soon” light, this warning light indicates a problem with the vehicle’s emission system. Numerous components can cause this light to turn on, so it’s important to have it checked out as soon as possible. In most cases, the purpose of this light is straightforward: to let you know your parking brake is on. However, if the light stays on after you’ve released the parking brake, it may indicate a low level of brake fluid in the master cylinder. This can compromise brake safety, so be sure to check your brake fluid level. Often referred to as SRS, which stands for “supplemental restraint system,” this warning light usually indicates an issue with the vehicle’s airbags, whether a faulty deploy mechanism or a past-due expiration date (most airbags expire 10 to 15 years after the initial purchase). To better acquaint yourself with your vehicle’s dashboard warning lights, it’s a good idea to study your owner’s manual, which outlines each light and its purpose in detail. BELMONT — Host, Sarah Rutan: Ever wonder what all of those warning lights on your dashboard mean? Today we’re in Belmont with Diamond Certified Expert Contributor, Ralph Kirberg of Kirberg Motors to learn more. Diamond Certified Expert Contributor, Ralph Kirberg: Alright, do you know what all the warning lights on your dashboard mean? I’m using this BMW here as an example. If you’d like to take a look, what we have first off is the battery warning light, which indicates alternator charge. If that warning light is on, or you do not see if it all, there’s an indicator that there’s a possibility of alternator problems. Right next to it is the oil pressure warning, which is a very, very important light. If that light comes on, it could be some serious engine damage occurring. So, you want to shut the car off immediately. Not at the end of the block, immediately. Below it you’ll find service engine soon or a check engine light. These are emissions related faults in the system. It is one of the most common repairs that we see, literally daily. Numerous different components can turn this light on, but it’s very important for the emissions of the vehicle and the operation of the vehicle. Moving over, on this side here, we happen to have the seat belt warning, which is rather self explanatory. When I cycle the key here too, you’ll see above it there the brake warning, parking brake, which is obviously another straightforward item. But if you have brake warning or the traction control light on, this can indicate that there’s something in the electronics of the traction control or brake system. Very important to have that looked at immediately. Also, next to it here, they show a airbag warning. This is a little figure with the round seat belt around it. And that unit is obviously to tell you that there’s something in the SRS system that is being – giving you a problem. Once again, important to make sure that that gets checked out. With all these warning lights, and depending on which vehicle that we’re looking at, you want to make sure that you study your owner’s manual because the owner’s manual is the most important reference to all these warning lights. Be accustomed – you know, get accustomed to looking at that and then you’ll find that in some cases, it’s more minor. In other cases, it’s, you know, can possibly be something you want to take a look immediately. So, keep that in mind. Don’t forget to look at that owner’s manual. Thanks. Diamond Certified RATINGS ON Kirberg Motors, Inc.
Kirberg Motors, Inc. : Average 9.1 out of 10 based on 275 unique customer surveys of customer satisfaction. They are of German decent. If you have a German car this is the place to take it. They get the job done and they don't try and sell you what you don't need. They are more reasonable than the dealerships. He is very good. They really know their craft. They both have 911's from the 80's. That the guy gave me a ride back to work, I thought that was pretty cool. The head honcho, he is a good dude. They are very accommodating, very good with European cars. They are very approachable and explain if there is anything wrong. They take the time to explain what they have done or needs to be done. They are fair and treat you like family. They're very good, trustworthy and do good work. They are honest and motivated by assisting their clientele. For my Audi S4, they were very competent. They had an idea to fix something on my S4 that was not common, it had some engine issues. The price was also reasonable. They are a great place to work with. They are honest and the prices are very fair. Go and take your car there if you need work done. They are well respected and trusted. They are honorable. Very good, efficient, fast and no problems, I would recommend them to others. I liked the way he worked and the guys worked. They are the best high end car service in the Bay Area. They really know what they are doing. They have even given me advice over the phone. They will shop all over the world to get the parts needed for your car. There is nothing that I don't like. They are courteous, have pride in their work. It's like they are personal friends of mine, that's how it feels. They are also professional. They are very friendly and responsive. They are willing to respond to a mistake non-defensively and in a helpful manner. I can stop in without an appointment and they would take a look at my car. They are honest, fair and helpful. They even helped my kids that live out of the area find good mechanics. Number one, they are honest. They are dependable and always, always pleasant. They go out of their way to be helpful. I like their service, they get me in right away.